Over the last several years, we have been able to provide over $5 million of improvements to our campus due to the generous participation of so many in the Restoration and Generation Projects. This has included creating a new Nursery and offices for ministry staff and counseling in the Worship Center, remodeling Samsvick Chapel, making needed campus upgrades in roofing and air conditioning, and repurposing the C Building basement into the new Student Underground. As these projects come to a close, we only need an additional $50,857 as of June 15 to finish paying for our Generation Project expenses. Will you help us finish the last 1% with a special gift to the Generation fund? Thank you for your prayerful generosity. The new construction, which began on June 15, is replacing the old modular building and blacktop playground area with new turf field! While this was a part of the original vision for the Restoration Project seven years ago, we are so grateful to the school and church families that have donated funds and labor to make this project a reality. In addition to the field, this project will also include some exterior hangout space for student small groups to connect before or after they go to the Student Underground. We are excited to add green play space on campus and finally say goodbye to our modular building that was installed as a temporary construction trailer over 30 years ago. Check back here for updates on the construction progress of the new Student "Aboveground" area over the summer! The Student Underground is Open! We are so excited that we passed the last city inspection last week and our Student Ministries is now meeting in the Underground! It is a blessing to see this space become a reality, from the planning that started over a decade ago, and we are thankful for all of you who prayed and gave throughout this process. 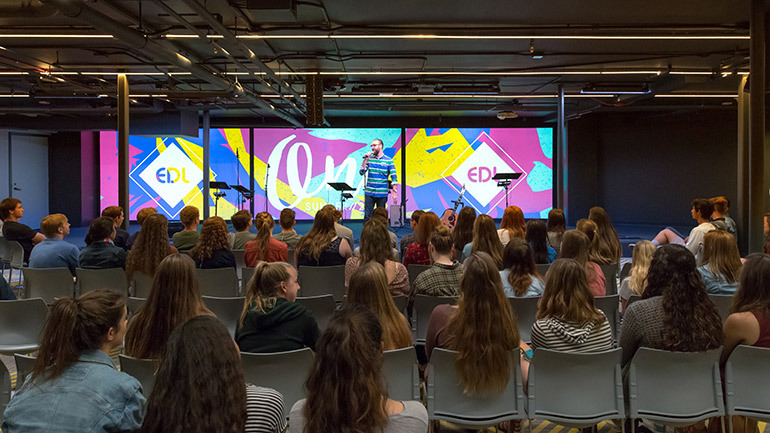 Our students have responded with joy and gratitude to have this new place to enjoy time connecting with God and each other as they grow in their faith together. As the Generation Project comes to a close we wanted to specifically thank you again for your faithfulness in not only giving to the Student Underground but also to the many who have given throughout the entire Restoration Project. This has included creating a new Nursery and offices for ministry staff and counseling, remodeling Samsvick Chapel, and making needed campus upgrades in roofing and air conditioning. Over the past 6 years, strategic improvements to every building on campus have been made possible for $5 million, above regular giving to our local and global ministries. We have received $4.8 million of the total so far and the remaining amounts have been pledged in full. We are appreciative of the ongoing generosity and wise stewardship of all involved, allowing for this work to be done without taking any loans. As everyone gives what they pledged through the end of 2016, the campus restoration will be debt-free! Any additional funds given, beyond what is needed to pay final costs for the Student Underground, will be used for other physical improvements to upgrade campus security and energy efficiency, as well as to enhance signs, landscaping and outdoor fellowship spaces for all to enjoy. Thanks again for your support and prayers for our campus to be an effective resource in reaching each generation with the life-giving message of Jesus, as we become a church that is better together. Prayerfully consider what role you will play in the story that God is authoring through Calvary Church as we seek to reach the generations to come for Jesus Christ by building the Student Underground. Keep reading to learn about the vision and heart we have for Student Ministries. 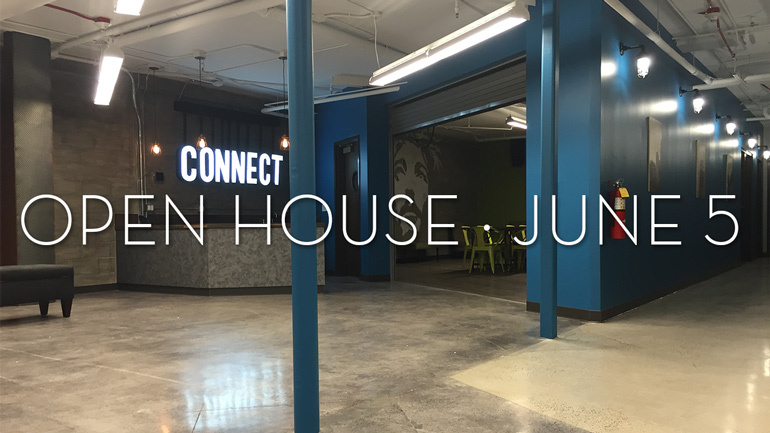 And, discover what it will take to complete the final phase of Calvary's campus Restoration by repurposing the C Building Basement into an amazing, dedicated space for Jr High, High School and College students. Students are knowledgeable about God’s Word, but even greater, through it have come to know God personally. They have investigated the Scriptures for themselves and have concluded that God’s Word is truth and are unashamed. Students know God’s voice, desire to obey it, and then obey it in and through the power of the Holy Spirit as they depend on Him alone for strength. Students worship from the inside out, compelled by the Spirit, not through mandated behavior, but see worship as a lifestyle, not a moment or event. Students possess a kingdom community mindset, and choose to usher in the realities of justice, mercy, love, the presence of God, forgiveness, humility, and service to life in everyday situations. Students live with a global awareness and feel responsible for their brothers and sisters around the world and feel compelled to make Christ known to every corner of the globe within their lifetime. By developing these traits in our students, the result is a vibrant life in Jesus. This is our heart for this generation, and for generations to come at Calvary. Movement is already happening in Family Ministries to lay the foundational work of seeing this vision lived out. We are committed to a unified approach to spiritual formation from crib to college based upon a united philosophy of ministry. God’s design for faith replication is in the context of the family (Deut 6; Psalm 78) while the church plays a supportive and equipping role to this endeavor (Eph 4:12). Together we want to create environments where the Holy Spirit is free to move, teach, and lead (John 14:26). The next phase for us is to create physical venues for Junior High, High School and College where this philosophy of ministry can take place. Instead of looking at this next generation and merely putting up with them until they grow up and become “contributing members of society,” our desire is for them to feel the love and investment from their church body saying, “Where you are at right now is important and we want to invest in you.” This time of their development is crucial. A few years ago a study came out saying that there is just as much developmental change happening in kids from ages ten to thirteen as there is in children from birth to three years old. James Dobson says that the “Critical Decade” is from ages sixteen to twenty-six. It is the time when most all of life’s most important decisions are made that impact the big things. We want to invest in the next generation so that as they are entering into this next phase of life, they have a community of support that is walking with them as they are walking with Jesus. Come get a preview of the nearly completed Student Underground in the C-Building basement on Sunday, June 5 after each service. We look forward to using this newly created space to reach generation to come with the life-giving message of Jesus. Thank you to those who have given generously, prayed consistently and supported the Generation Project in such amazing ways. If you have any questions, please contact Pastor Michael Welles directly at 714-550-2313 or . All of the main construction is done for the Student Underground and we are waiting on final inspections. Our elevator was fully upgraded and the State elevator inspection is scheduled for this week, along with our final County fire inspection. After we pass those inspections, we can schedule the final building department inspection. Finally, when we pass that, we can officially occupy the space! Please be praying this week for all of our inspections to go smoothly so we can move into this space quickly and not have additional costs of things that need to be changed. Once we are cleared to move in, then we can finish decorating the space, move in furniture and games, and get it set up for ministry. If everything goes smoothly, we want to open for the start of summer. Thank you for your continued prayers and financial support to make this project possible. From a financial perspective we haven’t had to take out any loans which is a huge blessing. If everyone completes their pledges through the end of this calendar year, the project will be fully paid for! Your contributions are helping to fulfill the vision to see students at Calvary Church develop a vibrant life in Jesus. This is our heart for this generation, and for generations to come. Construction on the Student Underground is nearing completion! Final flooring and lighting are currently going in and then we start the process of closing out the job. Once we receive final sign-off from the city to occupy the space we will work on installing the audio/visual equipment and finish customizing the look and feel for our Student Ministries. Our goal is to begin using the space in March. We will keep you updated on the progress with exact launch dates as details come together. Please pray for continued safety of the crew, that all of the needed materials would come in, and that the city would approve the final sign-off. We appreciate your continued giving to the project. Pledges have come in totaling the $1.6 million cost of the project and so far $1.3 million has been received toward those pledges. We are excited to see the ministry that will happen in the Student Underground for generations to come and are so grateful for your support to make it happen! We are excited to let you know the Calvary Student Underground construction has been making significant progress! Here is a brief recap and update on the project. The Generation Project launched a year ago to raise the funds needed to finish the last phase of Calvary’s Restoration Project: converting our old Nursery in the C-building Basement to a new Student Underground. Calvary’s leadership has a passion for reaching the next generation for Jesus, and creating a dedicated space for our Middle School, High School and College students will strengthen ministry to those age groups. We now have commitments totaling the $1.6 million needed for the Generation Project, so we are moving ahead and finishing construction! Generation Project commitments go through December 2016 and we have received $1.2 million to date. Thank you so much for your generosity. Your contributions are enabling the current construction with all of the walls now finished and the infrastructure almost done. Over the next month work will be completed on the air conditioning, fire sprinklers, fire alarm, painting, plumbing and electrical. We hope to have all of the flooring, cabinets, and final touches done by the end of this year. We will then finish installing the audio/visual systems and furnish the space so that we can open the Student Underground for ministry use in early 2016. Please continue to pray for this project: that the construction workers would be safe, the city inspections would be smooth as we finish, and that we’d receive all the funds needed. If you would like to change your commitment to the Generation Project, please let me know at any time so we can keep our budget accurate. You can contact me at or 714-550-2313. Any additional funds received over the final need will go to furnishing the student space and toward future campus improvements. Construction is starting back up after VBS in the C Building as we create the new Student Underground. The goal is to finish by New Year's! We are so grateful for all of the giving and commitments that have allowed us to move forward. With these new commitments and a significant estate gift from Calvary's first ever youth minister, and then longtime missionaries to Japan, we can afford to finish the project. Don and Mary McAlpine came to Calvary in 1948 when Pastor Wendt recruited Don to be a summer youth intern in Calvary's student ministries. They became interested in Missions during their time at Biola and answered the call from General MacArthur for 1000 missionaries for Japan after the war. Over the course of their career as missionaries, they started 5 churches and ministered in Japan for 35 years. Don died suddenly in 1983 and Mary worked for 2 more years then came back and retired in Fresno. She was a prayer warrior and served teaching English to Japanese girls in her community until she passed away last year at age 96. In her estate plan, Mary generously gave back to Calvary and with the proceeds from her estate, we have enough pledges to finalize the Generation Project! We are blessed to be able to make the Student Underground a reality and it is so exciting that some of the support came from a Calvary missionary family who started out serving Calvary's youth 67 years ago. We celebrate the generations past who ministered to our youth and look forward to the many students that will be blessed in a future as a result of the Generation Project. There is still $450,000 that has been pledged but not yet given, so we appreciate your continued support to complete this project without any borrowing. If there are any additional donations, they will go toward furnishing the space and improving our other existing buildings. Thank you for your faithful participation. We look forward to having a dedicated ministry space for our students soon! Photos of the Building Team on a walk through of the Student Underground in July. You might have seen some cranes at Calvary recently. We are replacing the 25-year-old air conditioning units on top of the C building with more energy efficient ones that will also be able to keep the newly configured Student Underground cool. Some of the new walls in the basement are being framed out and the ceiling is being patched. We are on schedule to have the walls and mechanical systems completed by the end of the summer. If we receive Generation Project commitments of the additional $200,000 needed to finish the project by that time, we can continue on to the final phase of finishing the space and put in paint, carpet, bathrooms and lights with the goal of finishing by Christmas. Please join us in prayer for the safety of the crew working on the space, for the funds needed to continue the project and for the future students that will use the space. Prayers were written for the generations to come on the foundation of the Student Underground during an Open House on Sunday, May 3 after each service. Hundreds of people came together to support the vision for this new, dedicated space for Calvary’s Student Ministries in the C-Building basement. The first ever student worship gathering was held in the future site of the Student Underground. Students heard the vision for this new, dedicated ministry space. They took on the Chair Challenge to raise funds for their own chair and another for a friend they can invite to hear about the love of Jesus. And, they wrote prayers and signed their names on the basement's foundation wall. Our students are so excited for the new opportunities this space will provide. We are excited that the Calvary Student Underground is now underway. The Generation Project launched six months ago to raise the funds needed to finish the last phase of Calvary's campus restoration, converting our old Nursery in the C-building Basement to a new Student Underground. Calvary’s leadership has a passion for reaching the next generation for Jesus, and creating a dedicated space for our Jr. High, High School and College students will strengthen ministry to those age groups. So where are we at now on the project? Over the New Year holiday weekend a pipe burst in the old Nursery and flooded the basement. What was a surprise to us was known by God—we were able to use the insurance funds from this accident to cover the first step of required demolition work. Also, the city recently approved our building permits after a 10-month review process, so we are currently underway on construction of the next phase which is to get all of the walls framed in with electrical and plumbing. 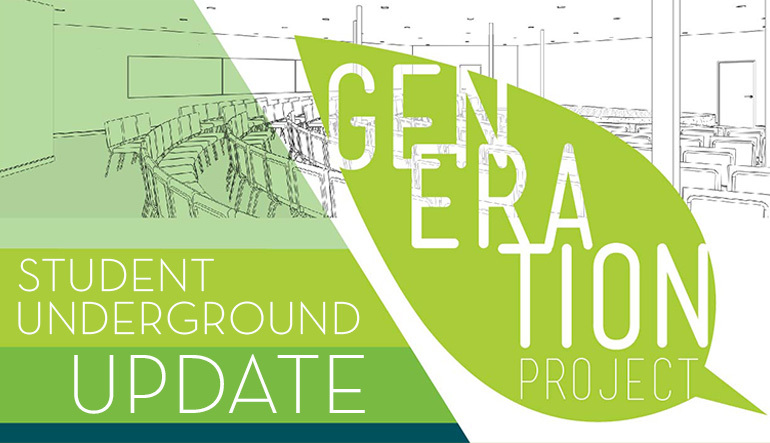 Many have already responded with commitments to the Generation Project campaign to raise the $1.6 million needed in order to finish the Student Underground. And, we’re almost there with only $285,000 more to be committed! This included converting all of the outstanding Restoration Project commitments to Generation Project commitments, which go through December 2016. We will only proceed with the final phase of the Student Underground once we have enough pledges and unpledged giving to cover the total amount needed. Thank you so much for your generosity, prayer and continued support. 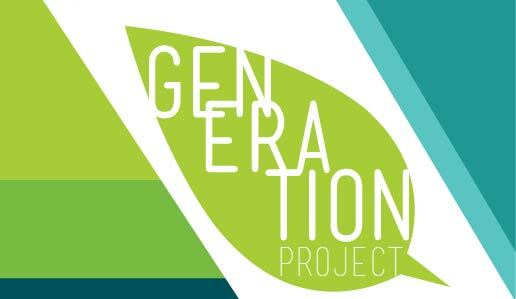 To change a previous commitment to the Generation Project, or if you have any questions, please contact Pastor Michael Welles directly at 714-550-2313 or .